This week, we answer questions about bookmark sync failure, managing Top Sites in Safari, dysfunction keys, and ransomware. We’re taking a break from your hundreds of questions about Photos to answer a variety of OS X riddles. As always, please let us know if our answers helped or failed to solve the same or a related problem. This sounds like something deep and wrong, but there may be a solution. While I can’t replicate the situation, others have experienced similar crashes for unrelated reasons. Adam Demasi, a developer, dove into why he was having slowdowns with folders in the Finder and found crashes in the system log. He determined the cause was a corrupt local database used to track CloudKit metadata. CloudKit is Apple’s framework for developers to interact with iCloud storage. If this doesn’t work, you may need to switch browsers if you want to sync bookmarks across desktop (and some mobile) browsers, as sad as that sounds. Firefox and Chrome can import Safari bookmarks and have their own sync options. 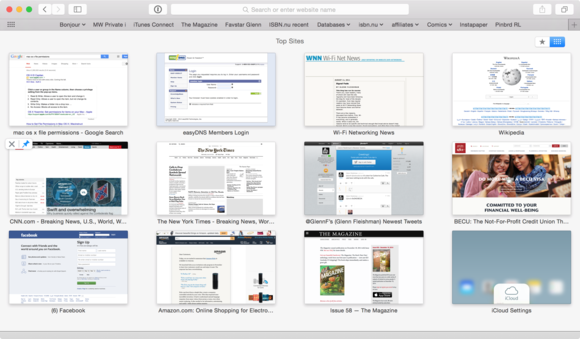 You can modify Top Sites in Safari by dragging and dropping, or hovering to delete forever or permanently pin a site. Apple adds Top Site entries automatically unless you’ve filled the screen with pinned locations. You can drag and drop entries to reorder them, and hover over a site preview to get Delete and Pin icons. Click Delete to remove the entry and Apple won’t suggest it again. Click the Pin and it remains a Top Site. Mark writes in wondering why his 2013 MacBook Air’s function keys won’t perform the functions on the labels—they only work as, er, function keys! Some software either assigns commands to function keys or allows you to set them. 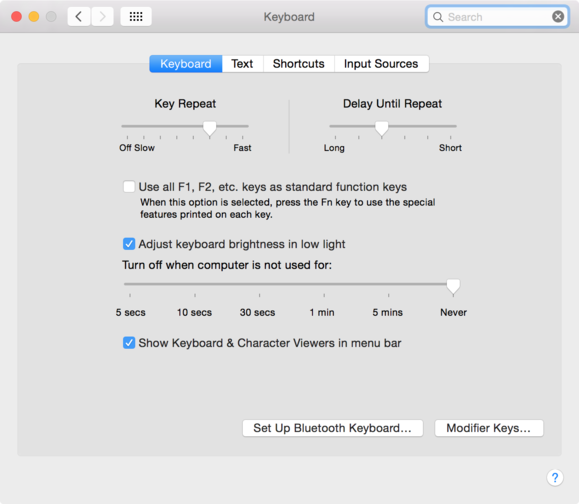 The Keyboard preference pane lets you toggle whether function keys perform Mac-specific tasks or send their literal F1, F2, and other values to OS X and applications. If that doesn’t solve it, it’s possible you’ll need to reinstall OS X, which you can do without overwriting your current system. Follow Chris Breen’s Yosemite installation instructions, which include working with an existing OS X system. I read about people who suddenly find their drive’s contents held for ransom, and assume they downloaded or opened something they shouldn’t, and further, that they’re PC users anyway. If one diligently uses a backup, such as Time Machine, can one ignore the extortionist, or has one simply backed up the cyber-bomb as well as one’s data, so that reconstructing the drive from the backup reloads the bomb, as well? I haven’t heard of this happening to a Mac user, but it’s not outside the realm of possibility that someone would download and install malware using administrative privileges that did such a thing. Mac users might be generally immune so far from serious attacks, but downloading and installing unknown software is an easy route, should a malware designer believe they can convince enough people to do so. In such a hypothetical, I’d retrieve my known applications and documents, but not perform a full restore. This is also a good argument—even as an extreme case—for having offsite or cloud-hosted backups in additional to local ones.